Oscar outcome: The fat lady finally sang Sunday night (along with nearly everyone else! ), so the Oscar race is over -- and what a long haul it was. Hollywood has been jousting on the Academy's playing fields since last May's Cannes Film Festival. Would-be contenders jockeyed for attention at Cannes and then moved on to high profile festivals in Venice, Telluride, Toronto and New York plus other media friendly events like AFI Fest in Los Angeles and smaller festivals in Palm Springs and Santa Barbara. Wherever the media spotlight was shining, awards hopefuls were basking in its glow. Thehandful of films that emerged early stayed on the awards radar all season. By the time critics groups were handing out honors in December, it was clear that the same films, directors and stars were winning everywhere. When the Hollywood guilds began celebrating in January many of those same bold face names were back on the red carpet making the same acceptance speechesand thanking the same agents, managers, spouses and children. No wonder by the time the time Oscar's sealed envelopes were being slit open, some observers might have felt like slitting their wrists in frustration after seeing it play out mostly the same way for months. The Oscars' inherent problem is that coming after so many months of expensive and exuberant campaigning in the media and after so many earlier red carpet festivities that all look the same, fatigue sets in and suspense evaporates. The public just doesn't care about the results the way it once did. And why should it? Most of this year's nominees played in only limited national release and were seen by relatively small numbers of people. Not surprisingly, that translates into a lot less interest in who will win than in past years when blockbusters like "Titanic" or "Avatar" were in the running. As for thetelecast, it was inexcusably long at 3 hours and 38 minutes. Neil Patrick Harris was a pleasant host, but had to work with some truly unfunny bad writing -- especially his lame lock-box awards predictions running "gag." With so many blah musical numbers early in the evening that followed one another so closely, the show could easily have been mistaken for a music awards ceremony. Later musical numbers played much better, however, including John Legend and Common performing their best song winner "Glory" from "Selma" and Lady Gaga's50th anniversary saluteto "The Sound of Music". One of the night's very few amusing presenter moments was the pairing of John Travolta with IdinaMenzel, a year after Travolta famously mangled her name on theOscarcast. They played off each other very well, putting last year's disaster behind them. Then Travolta got a well deserved laugh by telling Menzel that she had better be the one to read the nominees' names. Not surprisingly, Oscar's ratings were disappointing.In overnight fast national reports, the show had a10.8 rating with the key 18-49 adult demo and delivered 36.6 million viewers from 8:30 p.m. – 11:48 p.m./EST. That was a decline of about 16 percent in terms of viewers (from 43.7 million last year) and about 18 percent in terms of ratings (from 13.1 last year). It was Oscar's lowest rated show over the past six years. It was a night of no big surprises in the key races for those who paid careful attention to how the Hollywood guilds voted. Here's a look at how the prime races wound up. BEST PICTURE: "Birdman's" best picture win was expected by Hollywood handicappers who saw the handwriting on the wall when it won the Screen Actors Guild's (SAG) best ensemble cast award and the Producers Guild of America's (PGA) award, both of which are good bellwethers for how the Academy will vote. With nine nominations, "Birdman" (and "The Grand Budapest Hotel," with which it was tied) had the most of any best picture contender. Usually, but not always, the nominee with the most noms wins because it has the broadest support among Academy branches. What "Birdman" lacked was the usually all important film editing nom. Since 1981, only once had Oscar's best picture gone to a nominee that wasn't also in the film editing race. Now there are two such instances and that connection may be history. The other best picture nominees were: "American Sniper," "Boyhood," "The Grand Budapest Hotel," "The Imitation Game," "Selma," "The Theory of Everything" and "Whiplash." "Boyhood," which for months was "Birdman's" biggest competitor, was driven by early enthusiasm from critics groups. Among its six Oscar noms were the three key categories– picture, directing and film editing -- but in the end that didn't matter. "Boyhood's" loss hammers home the fact that critics awards are much less meaningful than how the Hollywood guilds vote. Many guild members are also Oscar voters. Critics don't vote for Oscars. Although the critics dominate the early awards season and influence which pictures Academy members take time to see, they don't bring to the table the same point of view that Oscar voters have. Among "Boyhood's" wins were: the Golden Globe for picture-drama, the British Academy's BAFTA for best film, the Broadcast Film Critics Association's (BFCA) best picture award, the Los Angles Film Critics' Association's best picture award and the New York Film Critics' Circle's best picture award. Its Oscar loss breaks a six year streak in which BAFTA'sbest picture winner went on to win the best picture Oscar. 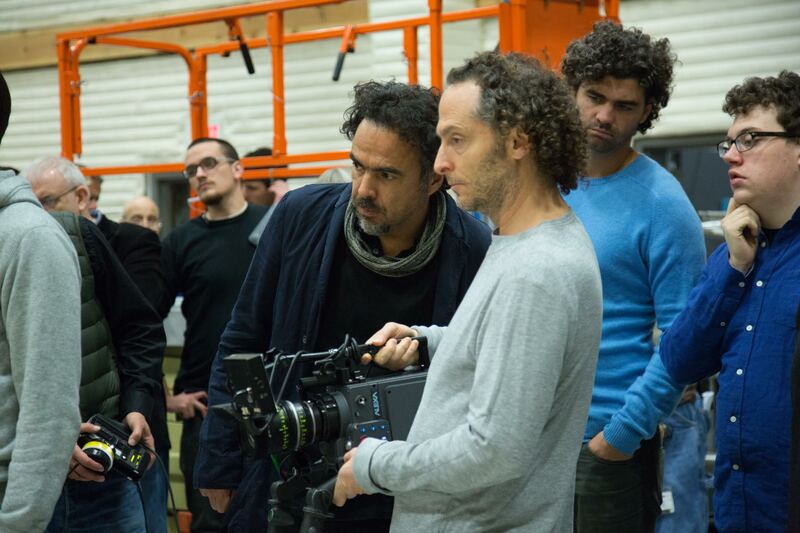 BEST DIRECTING: Oscar's best directing winner, Alejandro G. Inarritu for "Birdman," had been expected to win after taking home the Directors Guild of America (DGA) award. Only seven times during the previous 66 years had the DGA winner not gone on to win the best directing Oscar. The other best directing nominees were: Wes Anderson ("Budapest"), Richard Linklater("Boyhood"), Bennett Miller ("Foxcatcher") and Morten Tyldum ("Imitation"). 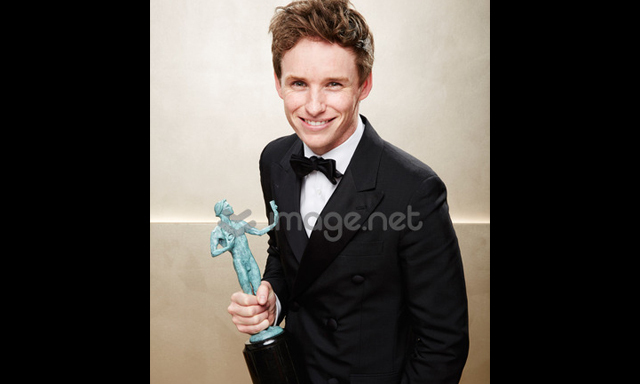 BEST ACTOR: Oscar's best actor winner was Eddie Redmayne for "Theory," whose earlier wins included SAG's lead actor award, the best actor-drama Globe and the best actor BAFTA. These made Redmayne the clear favorite to win the Oscar, although there was the possibility of a spoiler win for Michael Keaton for "Birdman." Keaton, whohad won the Golden Globe for best actor – comedy or musical and the BFCA for best actor, had maintained a high media profile throughout the season. But Redmayne was the safe bet and, as things turned out, the winning bet. The other lead actor nominees were: Benedict Cumberbatch ("Imitation"), Bradley Cooper ("Sniper") and Steve Carell ("Foxcatcher"). BEST ACTRESS: Oscar's best actress winner, Julianne Moore for "Still Alice," was considered a lock to win in this category. Moore's earlier wins included: SAG's lead actress award, the best actress BAFTA and the best actress-drama Golden Globe. The other lead actress nominees were: Marion Cotillard ("Two Days, One Night"), Felicity Jones ("Theory"), Reese Witherspoon ("Wild") and Rosamund Pike ("Gone Girl"). BEST SUPPORTING ACTOR: Oscar's supporting actor winner, J.K. Simmons for "Whiplash," was a lock to take home this award. Simmons' earlier victories included: SAG's supporting actor award, the supporting actor BAFTA, the BFCA for supporting actor and the supporting actor Golden Globe. The other nominees were: Robert Duvall ("The Judge"), Ethan Hawkes ("Boyhood"), Edward Norton ("Birdman") and Mark Ruffalo ("Foxcatcher"). BEST SUPPORTING ACTRESS: Oscar's supporting actress winner, Patricia Arquette for "Boyhood," was also a lock to win. Her earlier wins included: SAG's supporting actress award, the BAFTA supporting actress award, the BFCA for supporting actress and the supporting actress Golden Globe. The other nominees were: Laura Dern ("Wild"), Keira Knightley ("Imitation"), Emma Stone ("Birdman") and Meryl Streep ("Into the Woods"). Bottom line:Ironically, the Academy Awards impact negatively on Oscar Sunday ticket sales because so many people stay home to watch the telecast. Last year, for instance, the show attracted nearly 44 million viewers in the U.S., none of whom went to the movies in the late afternoon or evening. On the other hand, the Oscars help generate interest in seeing upcoming films, some of which made pricey marketing buys during the show in order to reach this target audience. Thirty-second commercials during the telecast on ABC reportedly cost $1.95 million. Even with competition from the Oscar telecast and despite some lower profile openings, last weekend was up about 2 percent over this time last year. The year to date, which had been up nearly 12 percent, isnow ahead of 2014 by about 10 percent, according to the boxoffice analysis firm Rentrak. That reflectsvery well on the powerhouse hits Hollywood's been fielding since early January. Among the year's biggest successes through last weekend are: Warner Bros. and Village Roadshow Pictures' "American Sniper"($319.6 million), Universal and Focus Features' "Fifty Shades of Grey"($130.1 million) and Paramount and Nickelodeon Movies' "The SpongeBob Movie: Sponge Out of Water" ($125.2 million). Hollywood hopes to see this momentum continue with this weekend's new arrivals, including Warner Bros. R rated crime comedy "Focus"at about 3,200 theatres. It's tracking best and equally well in double digits with men under and over 25 and with 25-plus women. In "Focus," directed by Glenn Ficarra& John Requa ("Crazy, Stupid, Love"), things get complicated when a veteran con man (Will Smith) becomes involved with an attractive young woman (Margot Robbie) he's taken under his wing.